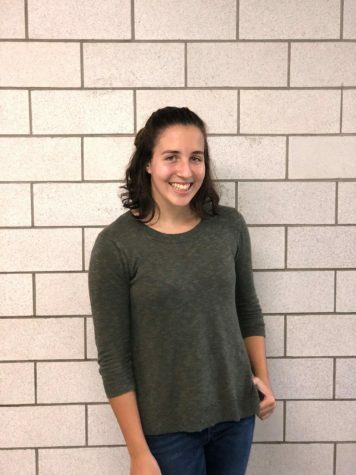 Olivia Dinis (di-knees) is a junior here at LHS on her first year at “The Cub”. This is her fifth after school activity. She has been a part of student council, portuguese club (which she loves fully and wholly), math team (because she’s a nerd), and leading lions. Despite her scattered-ness, she is wicked excited to join “The Cub” and has loved telling stories for as long as she can remember. She is an avid Hamilton addict and can recite almost all the songs of the 3 hour long play. She dreams of going to Italy and loves her Portuguese roots. She has visited Portugal three times and her favorite part is always seeing her huuuugggeee family. If you can’t catch her on the tennis court, you can probably find her reading her favorite book, Alex & Eliza. She enjoys watching Grey’s Anatomy and Station 19.